Looking For Website Builders in India? If you need a website for your business, you probably look out for a local web developer to build your website. But what if you don’t have much budget to pay your local web development company who charge thousands of dollars to build a corporate website? Should you give up on having a website because of your low budget? No. There is still a hope! For all those new startups and small businesses who don’t want to spend much money on their website development, hiring a web developer in India can be a money-saver decision. If you haven’t worked with any web design company in India in the past, you don’t need to worry. You are not alone. There are many businesses worldwide who hire Indian web developers everyday and get their perfect web solutions at an affordable cost. This simply means that thousands of small businesses like you are getting their dream websites at an affordable cost and with high quality work, without any disappointment. Now many of you must be thinking how website builders in India can develop a website that’s much cheaper than what your local web development companies charge. Perhaps, you must be thinking that if Indian web design companies charge less for website development, they must be compromising with the quality. Right? One of the major reasons that Indian web developers can provide you with quality web design services at affordable price is that Indian manpower is cheaper as compared to European countries and America. Another reason of getting an affordable website from Indian web developers is that most of these companies build websites using open sources like WordPress. Below are but some of the ways that in which the web builders in India can save money on your website development. WordPress is a free open source CMS that can be used to build websites. If you’re thinking that WordPress is just a blogging platform and how can one build a complicated website using this CMS, then think about it again. There are thousands of successful e-commerce websites that have been developed using WordPress and doing great in business. There are also several web portals that have been developed using WordPress and have provided their webmasters/owners with a revenue-generating business model. WordPress is not only one of the renowned open source CMS, but it also helps to reduce the web development cost by more 30%. Building an e-commerce website with core PHP or frameworks can easily cost you more than $5000 however using WordPress, you can easily get an e-commerce website for as low as $949. You see the difference? Indian web development companies have quite good experience working with the web hosting companies across the world because of their international clientele. Having a rich working experience with several web hosting companies (both good and bad), Indian web developers can suggest you the best yet affordable web hosting companies. So when you hire web developers from India to build your website, you save some money on web hosting cost as well and that too, without compromising on the quality. If you are really short of budget to build your website, you can go for a template based design. A template is a pre-defined website design that you can choose & your web developer can implement with your WordPress website. Now when you hire Indian website builders, you can also ask them to customize the templates so that it matches your company branding and your specific requirements. Given that template/themes customization takes time, if you hire a local web developer, you will easily end up paying few hundred dollars. However you can save this money when you outsource your project to website builders in India. Not all cheap options are inferior in quality. Same applies for web development in India too. 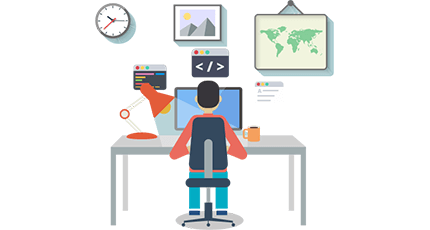 Hiring web developers in India doesn’t means that you are compromising with the quality; rather it simply means that you are getting a high quality work at an affordable price. It becomes even more crucial for small businesses to hire Indian web developers because by saving their website development cost, they can invest the saved money on the core areas of their businesses. Looking For Website Builders? Contact Us!